When you use a keybaord not designed for he Mac, it helps to remap some keys. Terry Ogletree prefers some older, expensive mechanical keyboards he already has on hand to the newer Apple keyboard style that ships with Macs. (Very reasonable!) But these weren’t designed for a Mac, and there’s no key labeled Command. 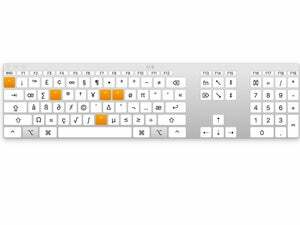 Is there an alternative key or combination of keys I can use with a keyboard that is not an Apple-produced one to emulate the Command key? That lets you set up a non-Mac keyboard initially, and should automatically map the Windows and Alt keys on a Windows-oriented keyboard to Command and Option. However, you can fix this later or change it if you don’t like the defaults. I had a keyboard failure recently and used a Windows-style keyboard which had “reversed” (in my way of thinking) where my fingers expected Option and Command. You can remap modifier keys to make them fit your fingers. In Keyboard system preference pane, click the Modifier Keys button in the lower-right corner of the Keyboards tab. 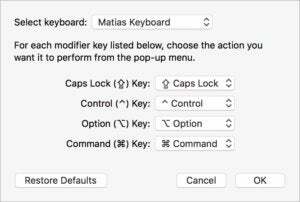 You can then select a keyboard (if you have more than one) and remap the four modifiers: Caps Lock, Control, Option, and Command. This is a little confusing, because the pop-up menu for each shows macOS’s notion of which key is currently mapped for each function! 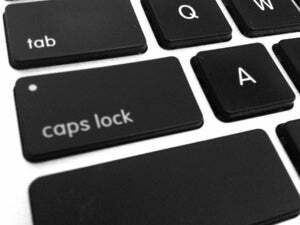 Note that Escape is thrown into the mix of options, so you could use Escape as your Caps Lock function if you’re tired of accidentally pressing the Caps Lock key and want it farther away from your fingers while typing. If you want to remap more keys, the most widely recommended program is the donationware app Karabiner. Unfortunately, it’s not macOS Sierra compatible as of early November 2016; the developer is working on revising the software.